We aren't short of museums in London, that's for sure. But when minds and legs get tired on our cultural visits, where are the best places to grab a breakfast, lunch or dinner? 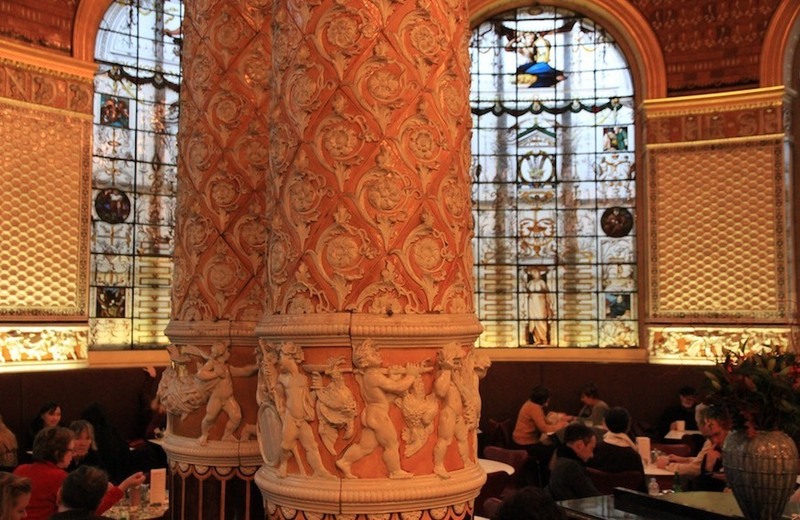 We couldn't write about museum cafés without starting with the big daddy of them all. The world's leading museum of art and design also boasts the world's first museum restaurant, opened in the 1860s. Don’t be fooled by the long, plain white corridor that leads to the café area. At the end of it you will find three magnificent, interlinked refreshment rooms. The Gamble, Morris and Poytner rooms in the Victoria and Albert Museum are all named after their designers and reflect the varying tastes of the Victorian era. A selection of freshly prepared food is served in the grand café spaces, from salads and sandwiches to hot food. The Charles Dickens Museum allows you to take a stroll around the late writer's only remaining house, where you can see where he ate, slept and put pen to paper. 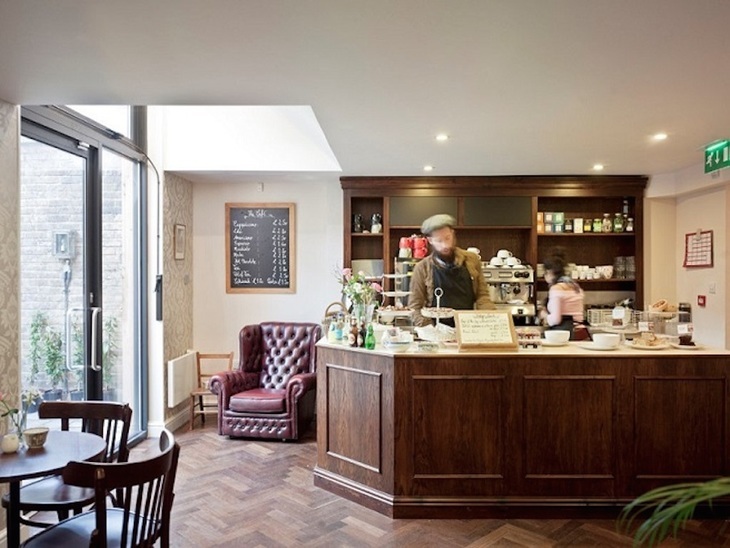 The quaint museum was redeveloped in 2012 with a grant from the Heritage Lottery Fund and among the developments was the cosy café with a walled garden, where you can sit by original gravestones of Dickens' pets. The café at The Charles Dickens Museum. Sip a fair trade coffee, feast on a cake from the Victoria Yum bakery, and when you realise how reasonable it is, you'll be saying, "Please, sir, I want some more." The British Museum doesn't have a shortage of food options for visitors, with two food trucks, four cafés and a restaurant to choose from in the vast space. Afternoon Tea in the British Museum. The Great Court Restaurant has a warm, relaxed feel to it with an open kitchen where you can watch the chefs work away as you eat. 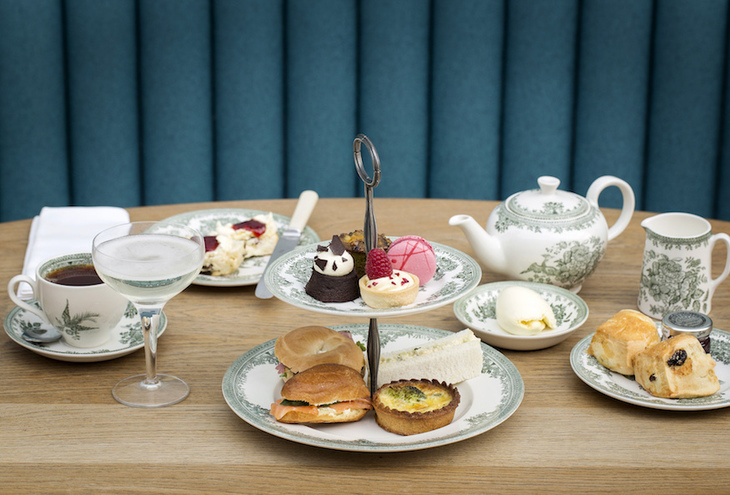 Sit beneath the famous frosted roof and sample the sweet and savoury delights of the afternoon tea (with a glass prosecco, of course). 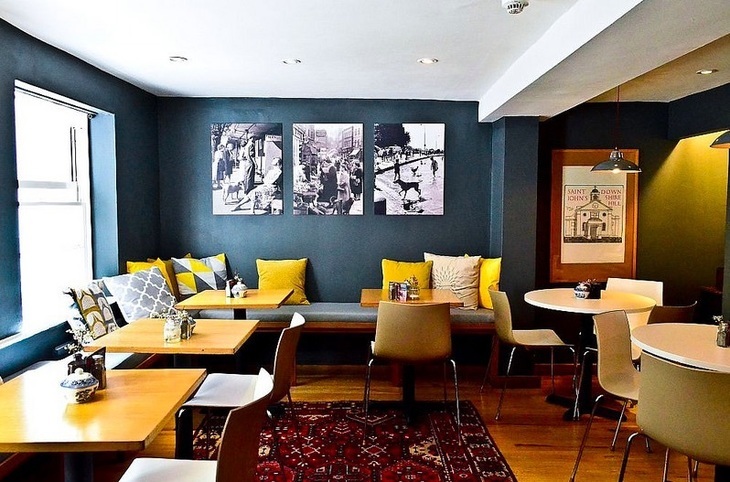 After being blown away by the incredible scientific and technological achievements on show at the Science Museum, you can take a well-deserved break in one of the three cafés found around the building. The Energy Cafe at the Science Museum. 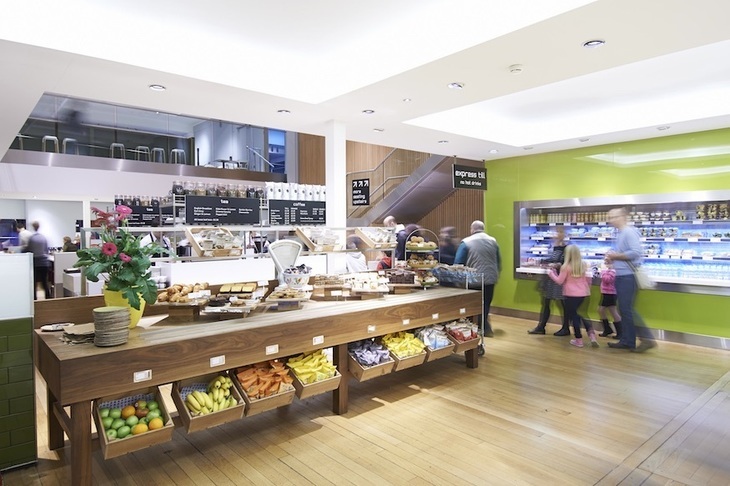 The Energy Cafe is a self-service system where you can grab a cold snack to re-boost. The contemporary Media Space Cafe hosts a Benugo, where you can enjoy a sandwich or wrap and wash it down with a cup of tea. Finally, the stylish and modern Deep Blue Cafe is a family affair with a large menu of meals and light bites. This one is the best for gluten-free options. The Wellcome Collection describes itself as 'the free destination for the incurably curious' and, with that in mind, the café and restaurant in the museum have been carefully designed to fit with overall ethos of the work. The Wellcome Café is a causal space where you can sit in or grab a snack to takeaway. The Wellcome Kitchen, situated next to the Reading Room, offers an array of meals with a late night menu on Thursday evenings. Based in the heart of Hampstead, Burgh House and Hampstead Museum holds permanent exhibits of local history and temporary cultural exhibits. The cafe at Burgh House. The 18th century house is a beautiful building to stroll around and proves the perfect stop for a lunch break in the Buttery Cafe — the only licensed garden café in Hampstead. The café is run by 'expert foodies' and independent caterers, Leafi, who create traditional British and popular European dishes. Their home-cooked food is all lovingly made using fresh, locally sourced produce. We heartily recommend the 'decadent hot chocolate'. The Geffrye Museum is closed until early 2020. The Geffrye Museum is in row of almhouses surrounded by gardens, just behind Hoxton station. We all love a good nose around other people's houses and this east London museum takes a look at how homes have been used and furnished all of the way from 1600 to the present day. The café at the Geffrye Museum. 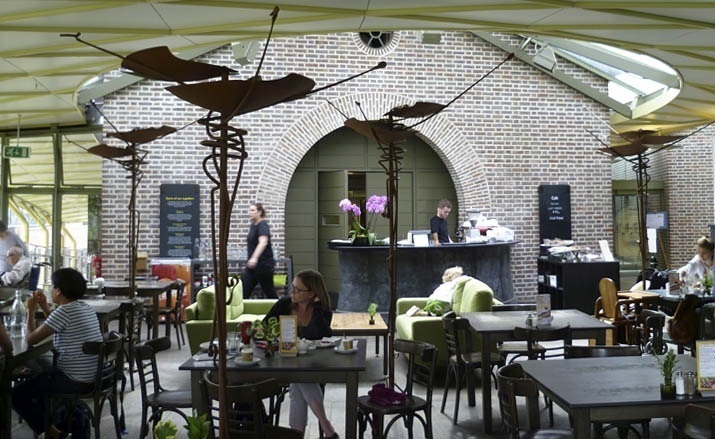 Within the grounds is a café set in a modern pavilion, overlooking the beautiful period gardens. The all-day breakfast menu is particularly tempting, with choices from a smoked bacon sarnie to an East End hash. 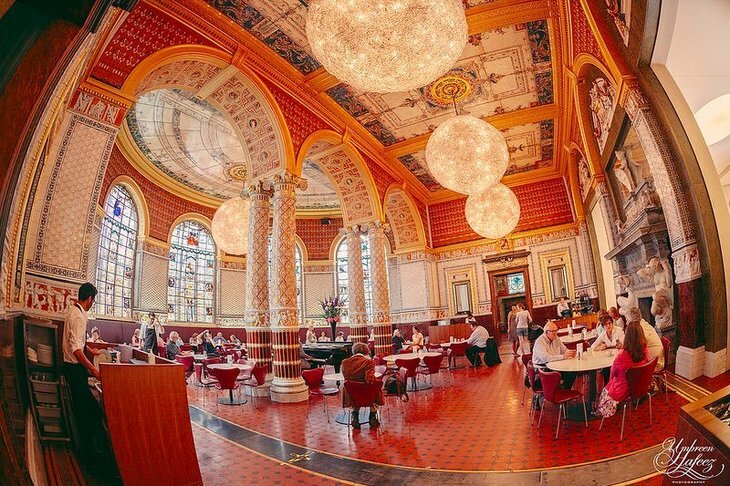 Did we miss your favourite London museum café? Let us know in the comments below.